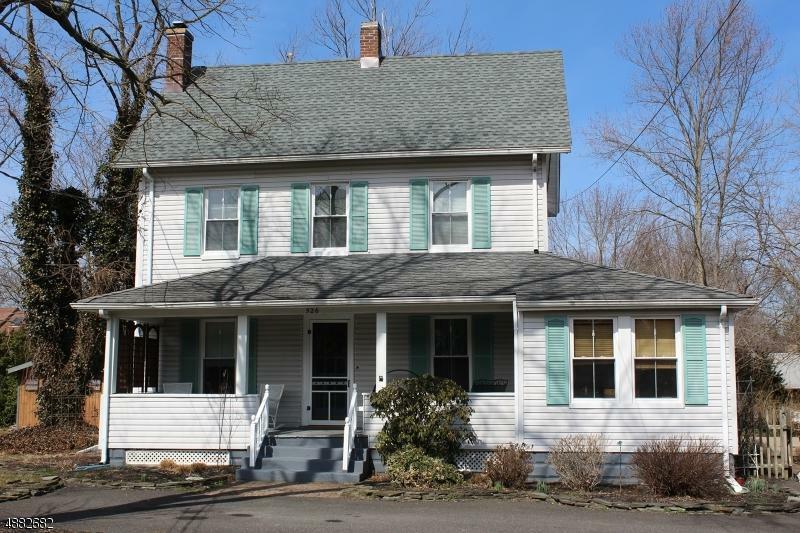 Charming Toms River Colonial on a corner lot, this 4 bedroom 2,064 SF home was built in 1884. The home boasts original wood floors, doors, molding, an updated kitchen and replacement windows. The large country kitchen has a full surround of wood cabinets matching the period of the home with Lime Stone counter tops, tile backsplash, a breakfast counter that seats 4 and French doors that lead to the deck/patio-pool area. The living room has a wood-burning fireplace with a stunning wood mantle. The home also has a formal dining room, a den and 4 bedrooms on the 2nd floor. The home has natural gas hot water baseboard heat and 2 zone AC. From the 2nd floor there is a walk-up attic ? an amazing space with endless possibilities and plenty of room for storage.